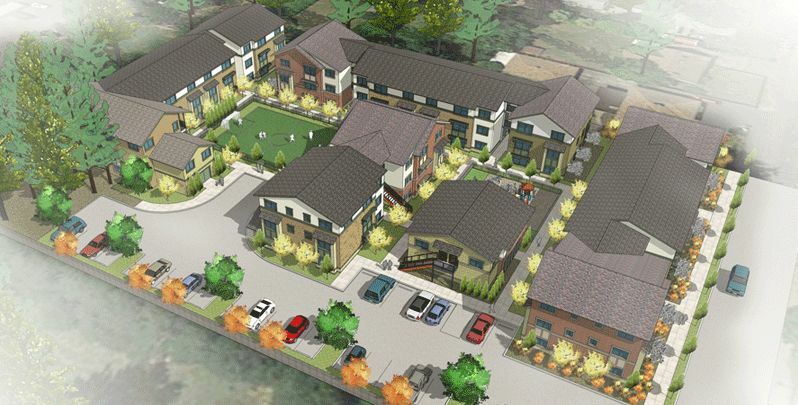 The Portland Tribune reported that average rents have begun to fall as increased housing supply comes on to the market. The Portland City Council held its first public hearing on the city’s proposed Inclusionary Housing ordinance. Many of those testifying were biking and walking advocates, wrote BikePortland. 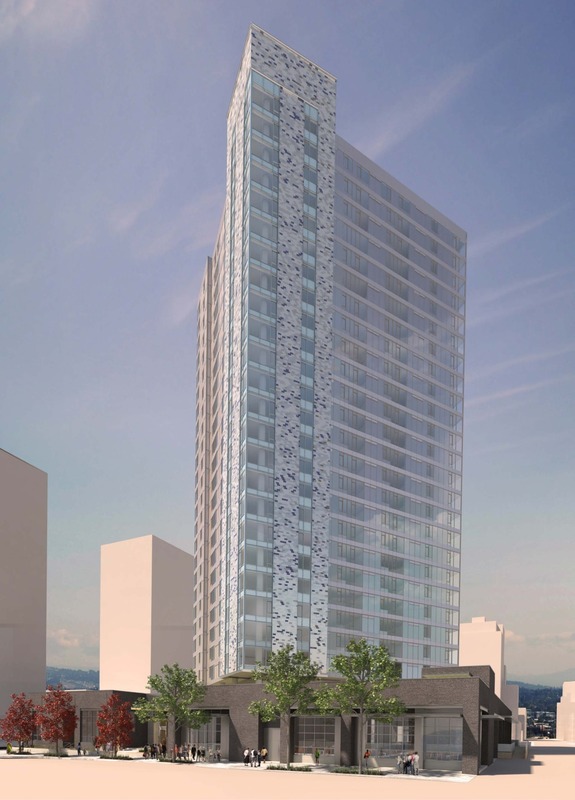 The DJC wrote about Koz Development’s plans for two buildings in Northwest Portland*, at 1111 NW 16th Ave and 1015 NW 16th Ave, which when considered together will include 223 units and no parking spaces. A new apartment building with no parking is proposed at 1621 NE 41st, according to the Hollywood Star News. 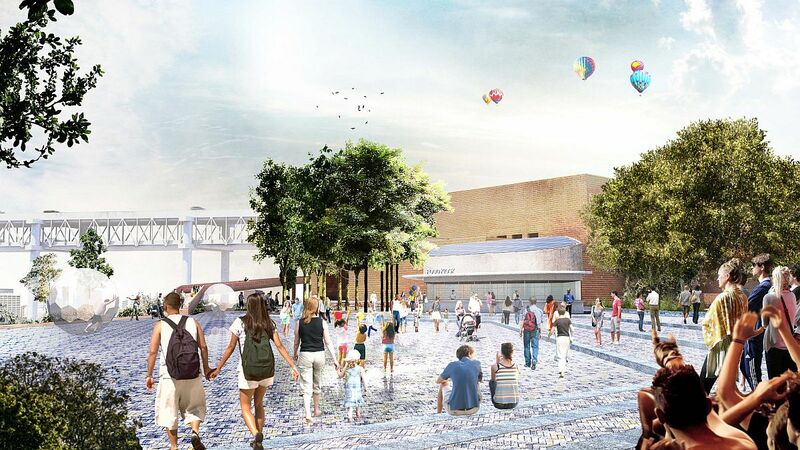 BikePortland reported that when the City reconsiders its Systems Development Charge methodology next year, it will change from considering vehicle trips generated by new development to “person trips”. 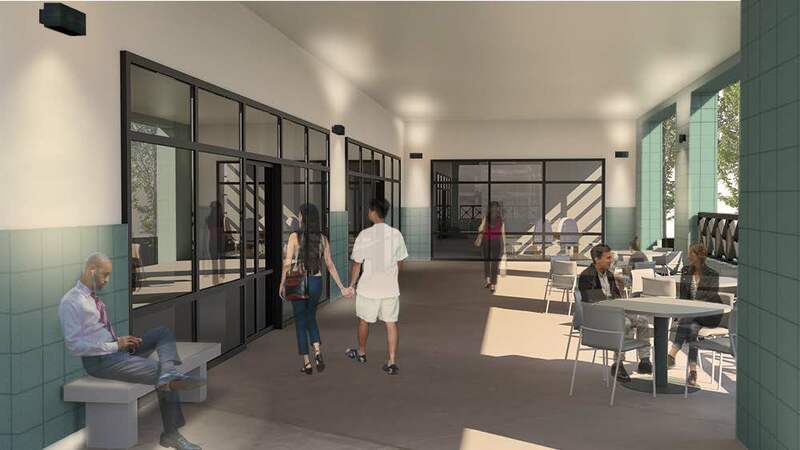 Portland Architecture wrote about Oregon’s “most endangered places”, including the Wong Laundry building at 227 NW 3rd Ave.
Multnomah County broke ground on the new $93 million Multnomah County Health Department Headquarters building, according to the Oregonian. 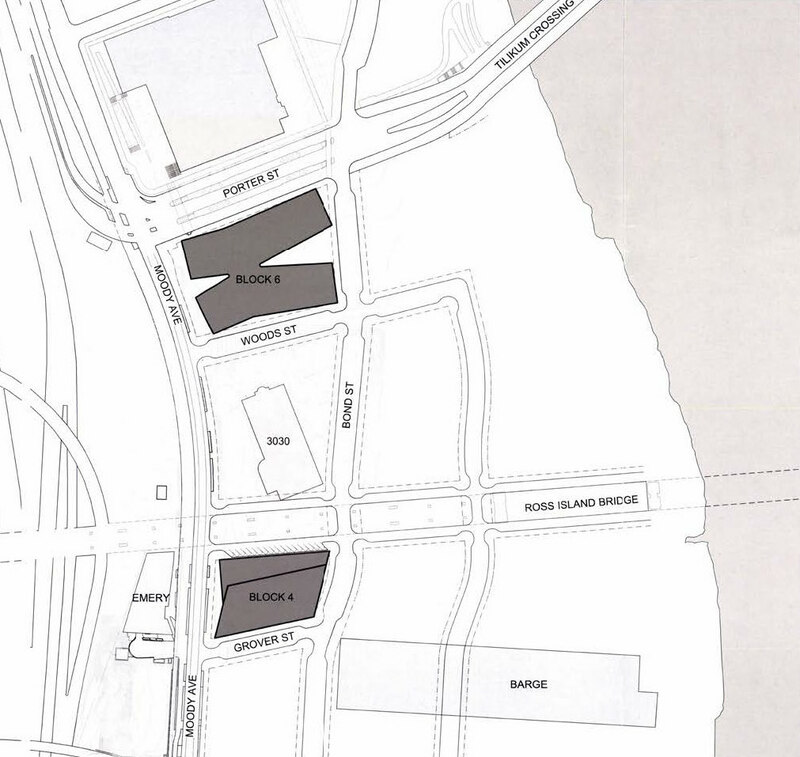 ZRZ Realty is moving forward with two office buildings on Blocks 4 and 6 of the Zidell Yards in South Waterfront. 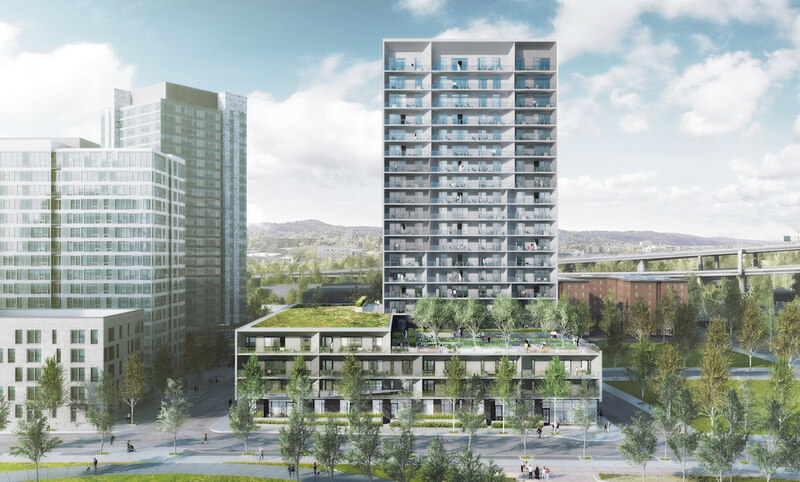 A Pre-Application Conference has been scheduled by GBD Architects, who are working with Lever Architecture on the design of the proposed buildings. 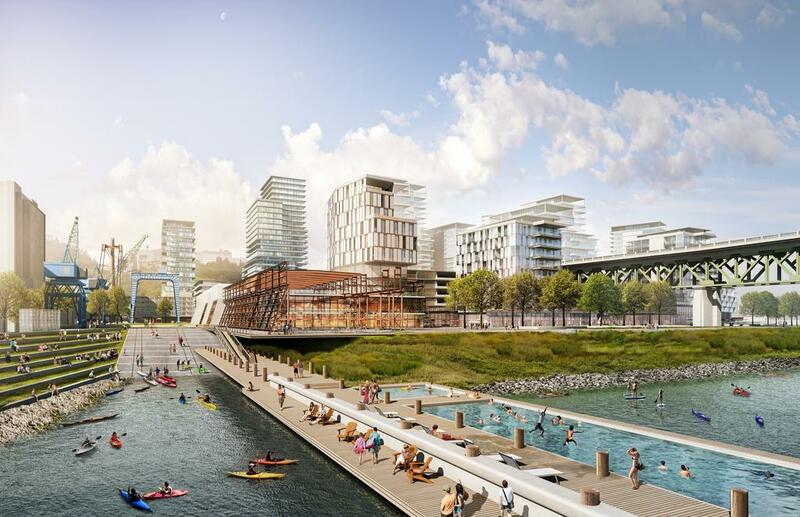 The buildings will be amongst the first to go ahead under a development agreement between the Zidell family and the City of Portland, which could see the public invest $23.8 million towards for parks, roads and other improvements. 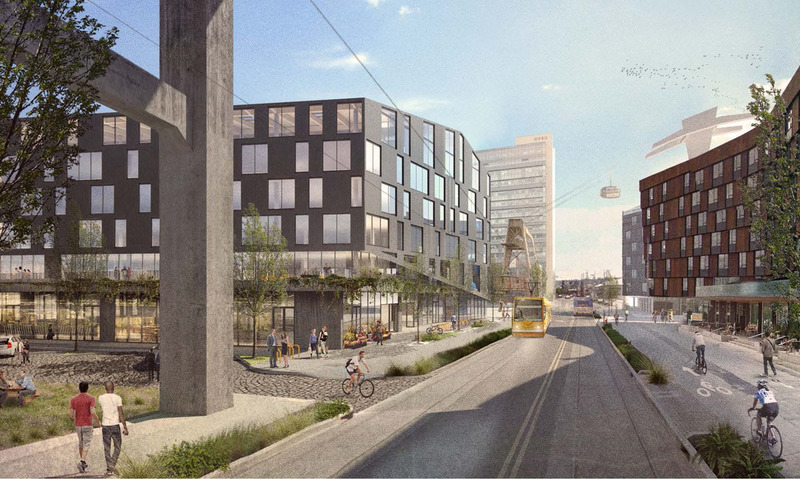 A separate Pre-Application Conference was held earlier in the year to discuss a new apartment building on Zidell Block 1.